OPTION 2: Decide on your membership level and have your bank send a recurring monthly check to Caritas. 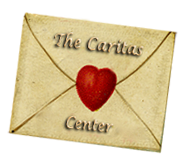 Support The Caritas Center and enjoy the benefits of membership! Everything we do at Caritas – from our free healing clinic to our workshops, lectures and films – is in the service of raising consciousness. You can be part of this important effort through your membership. Enjoy the satisfaction of knowing you are supporting the diversity of classes, lectures, study groups, films and healing work Caritas offers to enrich our community and ensure its well being. Many of our services are offered free of charge. $10 monthly: Donor – members’ discounts at most workshops, lectures and other events at Caritas. $25 monthly: Friend – All of the above plus 1 free lecture or movie of your choice per year. $50 monthly: Patron – All of the above plus 2 free lectures or movies of your choice per year. $100 monthly: Benefactor – All of the above plus Golden Circle (up-front seating at Evolutionary Leaders events) + signed copy of book by celebrity speaker. $250 monthly: Sponsor – All of the above plus free attendance at any Caritas lecture. $500 monthly: Angel – All of the above plus invitation to attend an exclusive intimate gathering with each celebrity speaker – an extraordinary opportunity to meet and converse with evolutionary leaders in person. Also, annual fine dining appreciation dinner on the town! Know someone who loves the center, but can’t afford to join now? Consider taking out a gift membership in their name. * It is NOT mandatory to become a member to attend our activities! Everyone is welcome to join us in our classes, events and workshops. 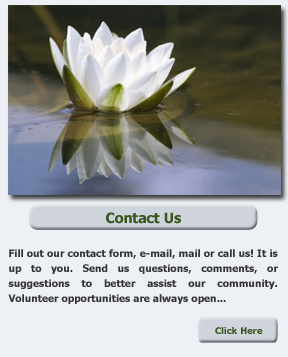 Or just stop by to say hello… we’d love to introduce you to Caritas!